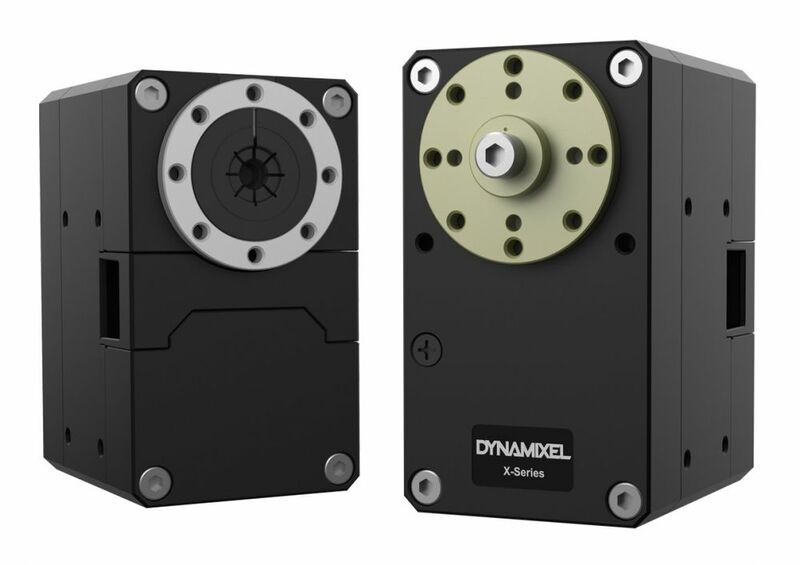 DYNAMIXEL is a robot exclusive smart actuator with fully integrated DC Motor + Reduction Gearhead + Controller + Driver + Network in one DC servo module. 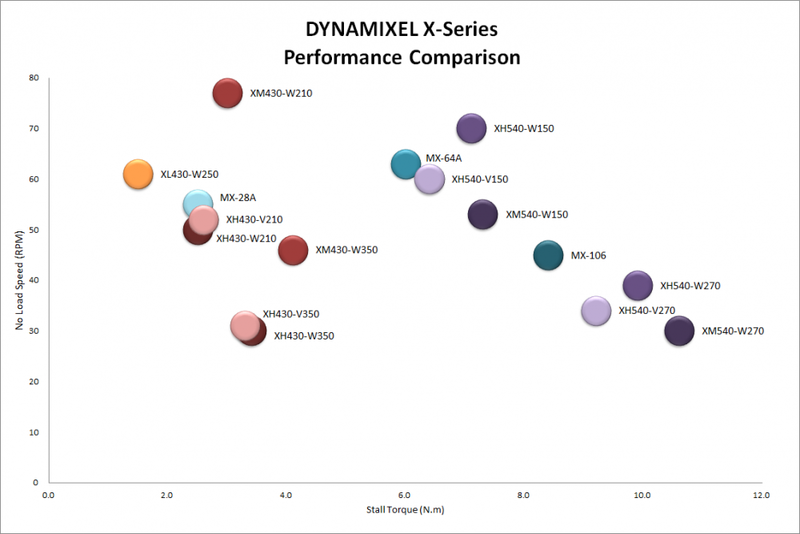 The DYNAMIXEL XH / XM-Series offers a variety of control techniques based on high-performance current sensing algorithms. It adopts the aluminum case and adopts the new technology such as the hollow cable fastening structure for users’ convenience. Organize the entangled cable before assembling the back case. Do not assemble the back case with entangled cable. The entangled cable can be squashed by the case and cause communication error. If you use two cables through the hollow case, the cables will be damaged. Use only one cable through the hollow case. The DYNAMIXEL X-Series adopted a new gold-plated JST connector for secure and reliable communication. The connector used for previous Dynamixel is Molex. To control DYNAMIXEL X-Series actuators via OpenCM or USB2Dynamixel, please use the JST-Molex Convertible Cable enclosed in the package. However, the Molex-JST convertible cable is NOT included in the XL430 model. Please purchase a convertible cable when using a controller and interface that supports the JST connector. Position, Velocity, Current, Realtime tick, Trajectory, Temperature, Voltage, External Port, etc.